Treat on European Union，Printed in Germany,1992, pp.11-12. MacDougal, G., “The Benefits and Costs of Private Investment from Abroad: A Theoretical Approach”, Economic Record, Vol.36, No.73, 1960, pp.13-35. Jacob A. Frenkel, Assaf Razin, “Variable Factor Suppliers and the production Possibility Frontier”, Southern Economic Journal, Vol.41, No.3, 1975, pp.410-419. 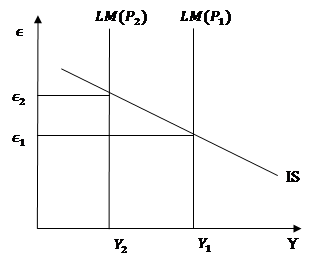 Gunnar Myrdal, Economic Theory and Underdeveloped Regions, New York:Harper and Brothers Publishers, 1957,pp.115-116. Paul Krugman, “Increasing Returns and Economic Geography”, Journal of Political Economy, Vol.99, No.3, 1991,pp.483-499. Eckhard Hein, Achim Truger, “European Monetary Union: Nominal Convergence, Real Divergence and Slow Growth?”, Structural Change and Economic Dynamics, Vol.16, No.1,March 2005, pp.7-33. Angel Estrada, Jordi Gali and David Lopez-Salido, “Patterns of Convergence and Divergence in The Euro Area”, IMF Economic Review, Vol.61, No.4,2013, pp.601-630. Philip R.Lane, “The Real Effects of European Monetary Union”, Journal of Economic Perspectives, Vol.20, No.3,2006, pp.47-66. < Treat on European Union，Printed in Germany,1992, pp.185.